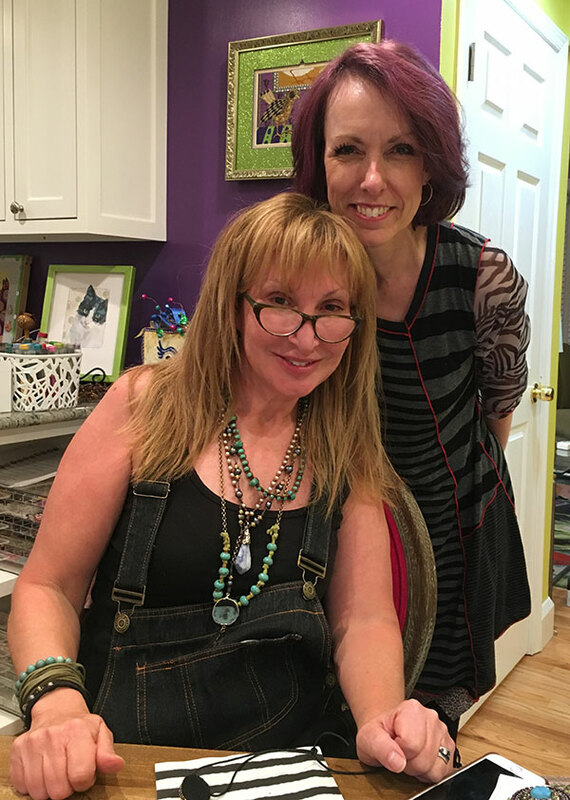 Sherry Serafini was here for three fabulous days of beading fun. You know I love all things sparkly and this weekend was sparkly. Sparkly beads, sparkly teacher. I love Sherry she is just too fun and so talented! We had a blast. She explained her design process and how it is all about components. One component leads to the next and the next and the next. Each one tells her what the piece needs added to it. What do I love about components? The gratification of finishing on and saying YAY and then moving to the next and from there the piece blossoms. At any point you could stop and say, I’m done or you can keep going. These were our classes. 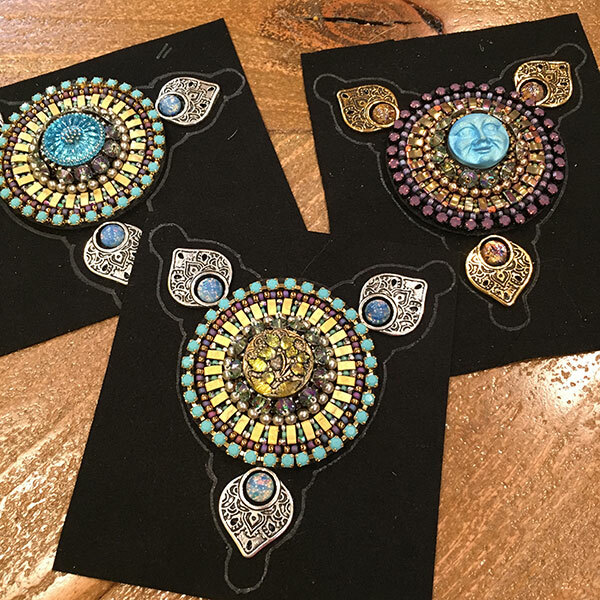 Not only do I love the finished pieces of jewelry, but they are great little experiments that give me ideas for needlepoint. We can make medallions and add them to our other projects. The easiest one to imagine is a flower center. Imagine just the center of the necklaces in process below as the center of a wonderful flower. 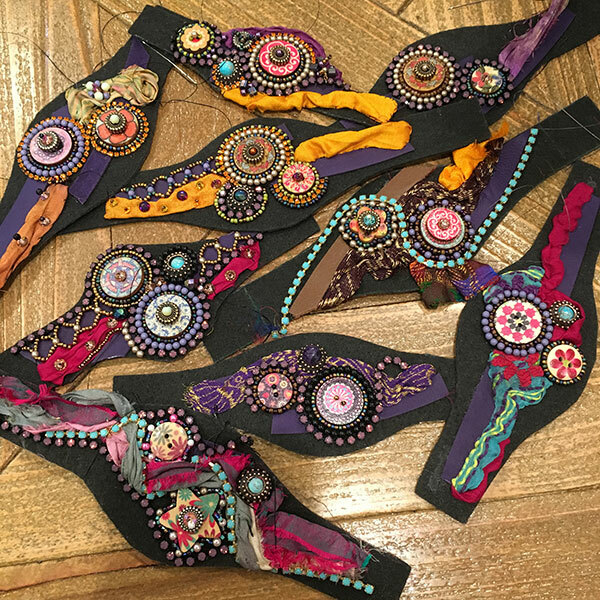 These are the start of Sherry’s Crazy Quilt Cuffs, each one is unique. Again if you are imaging what you could do with these as a needlepointer. 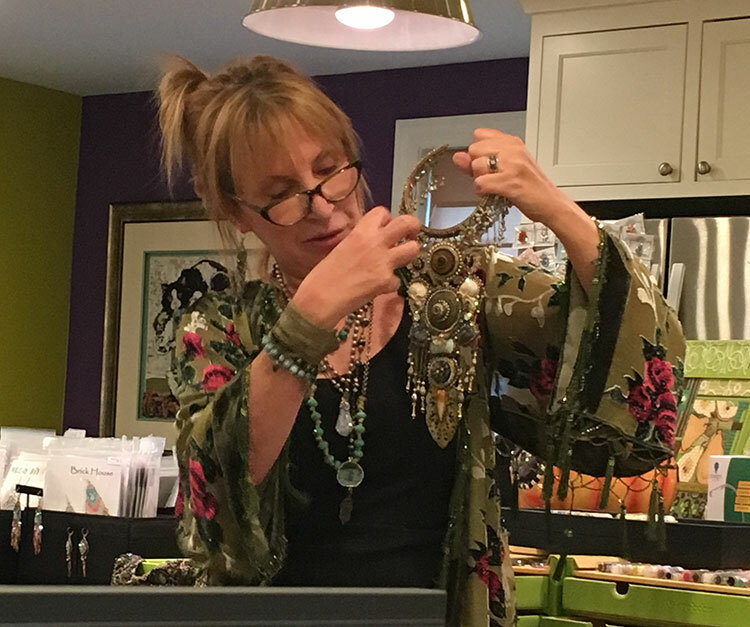 Think outside the box and consider the idea of fabrics and beaded medallions and cupchain as the foreground of a landscape. So cool. We had a wonderful time and can’t wait until Sherry returns. Who knows, maybe there will be a collaboration in our future. 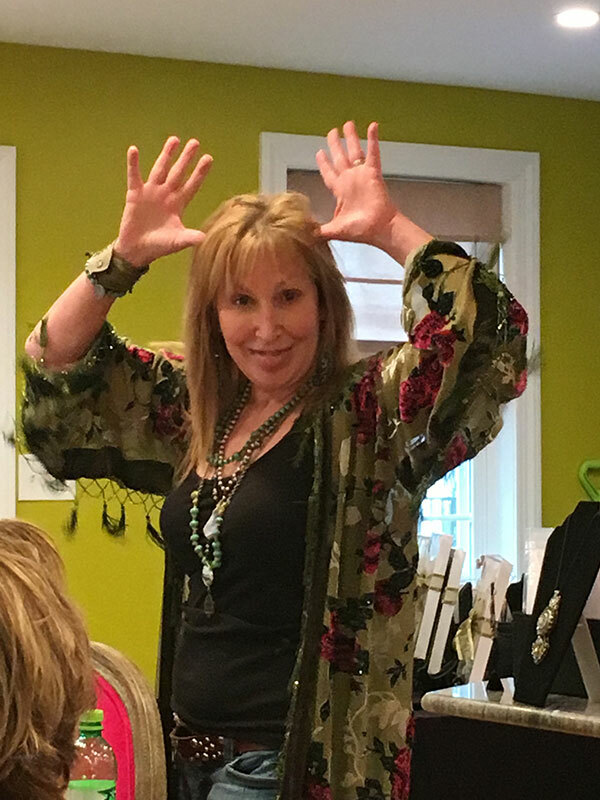 Thank you Sherry for sharing your talents, and thank you to everyone who attended. Sherry obviously doesn’t like having her picture taken, LOL. « Previous: Who wants to be a Honey Bee? !